26 million (1 in 7) U.S. adults use Twitter monthly. Americans spend 17% of their online time on social media sites. And 51% of business users say the most useful social media tool for reaching their audience is’blogs. Read all of the social media facts here. Site Sketch 101 recently posted a list of the top 7 influential female voices online. These women below all have an expertise and have used the power of social media to reach thousands of followers. Take a quick look, do any other women come to mind? 7. Amber Naslund, marketing practitioner, and the Director of Community for Radian6 social media monitoring. You may not recognize the name but Dr. Howard Moskowitz has changed the way you eat. Back in the 1970s when Diet Pepsi asked him to create the perfect sweetness for the soft drink, thereby making the perfect Diet Pepsi Moskowitz went to work – but he found out that there was not a perfect Diet Pepsi but perfect Diet Pepsis. People wanted variety – some liked their soda very sweet, some liked it just a little less. Thanks to his research, we’ve now have a variety of soda concontions to suit every taste bud. But Moskowitz didn’t stop there, he went after spaghetti sauce. We have a fantastic opportunity for you to join Dr. Moskowitz and Steven Onufrey in a complimentary webinar “”Applied Market Research – The Next Generation: Addressable Minds” on April 6th from 2-3PM EST. 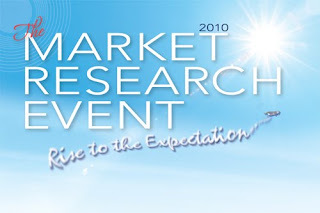 This is your chance to learn about market research from the best of the best. Use priority code M2246W2BLOG to secure your seat today. Dion Hinchcliffe recently looked at the how online communities are revolutionizing many businesses. Millions of individuals have joined online communities with in the past few years. Hinchcliffe looks at the difference between the growing contrast between business communities and consumer communities. While many business communities have not faired as well as consumer communities, some businesses have found the perfect way to strike the balance. [Successful communities are] Attracting like-minded people highly interested and engaged in what they do. As Group Director, Worldwide Interactive Marketing for The Coca-Cola Company, Michael is responsible for increasing the understanding, testing, adoption and effective use of Digital Marketing and Emerging Media amongst Coca-Cola’s marketers throughout the world. Working in the interactive marketing arena since 1998, Michael recently focused on creating effective programs in Social Media Mkt, Consumer Generated Media, Virtual Worlds and on expanding the company effective use of Search Engine Marketing. Programs under Michael’s supervision have recently won ‘Best in Show’ at OMMA, Silver and Bronze awards at MIXX, a Creative Media Award from Media Magazine, 2 achievement awards from the Society for New Communications Research and an Emmy nomination for “Outstanding Achievement in Advanced Media Technology for Best Use of Commercial Advertising on Stand Alone Broadband Devices’. Michael’s biography courtesy of iMedia Connection. Join Michael and a great line-up of others (download the brochure for details) at “How Can I Find the Sweet Spot where Traditional Media Meets Social Media? A Panel Conversation with Media Directors taking Traditional Media Social” on Wednesday, April 5 at The Social Media & Community 2.0 Conference in Boston. For more event details, please visit the website. Andrew Pek presented in the “Proof” track at last week’s 2009 TMRE, and looked at how people could become more creative in the work that they did. He focused on three ways to get stimulated, focusing on The Vibe, The Value and The Verb. We’ve got to work on better exploiting the brain in order to be more creative and innovative at work. Creativity is essentially a survival skill. When audience members were asked about their best moments of creativity took place, they responded in the shower, while sleeping, driving, or even at conferences. The Vibe, one of the core parts becoming creative, is all about managing your energy. Innovation is a vibe, and relies on tuning and turning your thoughts and feelings into a creative energy. Being aware of your thoughts and feelings is key to having a good vibe. The Verb is to act, pair ideas with your actions. Pursuing ideas is the key to successful innovation. A great way to do this is to pair random words together. What do you need to come up with a creative idea for? One audience member suggested a new flavor of beer. Te audience then came together to think of different flavors of potato chips. This can introduce new flavors that one had previously never thought of. And finally, Pek looked at Value. What impact do your new innovations have on your company and society? Courtney Rubin of Inc. writes that Facebook may be a better avenue for advertising ROI than Google, according to a recent study. Hitwise reports that Facebook’s news readers are more loyal than those of Google News. To learn more about the Hitwise article and how you can harness the advertising power of Facebook, check out Rubin’s original article.